In my past days, I was never a girl who puts in effort in maintaining her skin condition. Someone who uses body soap as her facial cleansing solution, never puts on any body lotion, facial cream, toner, serum, etc. Never had the privilege to enjoy those luxury as they don't come cheap. The only care product I used was only cream for my eczema, which I had since childhood (which sadly can only control the flare rather than getting rid of it). I remember that I had a terrible skin allergy once when the cream I used for my face (because my acne was horrible and start leaving scars) turn back on me. The redness and itch stayed with me for 2 weeks. Since then, I refrain from using any care product due to phobia. Years of negligence finally took toll when my skin starts to crack at my elbows and lips. The acne scars grew prominent God-knows-why-Help-Me-Please. Then, someone kind came along and helped me. I took part in this giveaway, which was held in early September this year and was selected as one of the 13 lucky winners out of 1260 entries. 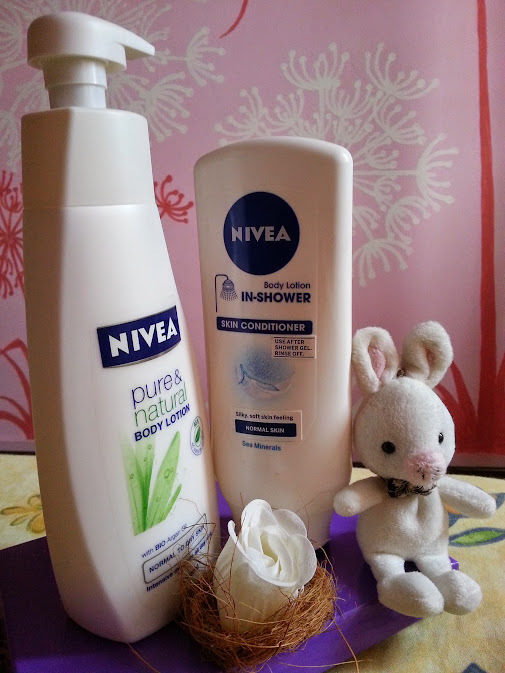 This new NIVEA product acts as a powerful moisturiser and supports the natural skin balance. It has a light and fresh scent. This lotion is made of valuable Argan Oil from biological cultivation, which is used to intensively moisturise the skin leaving it smooth and beautiful all day. It is also skin compatibility dermatologically approved. Just apply it once daily to moisturise the skin. In one application study, testers found that, after using the products for just three days, their dry, flaky skin had been effectively improved. This product range has quite an admirable wide variety. 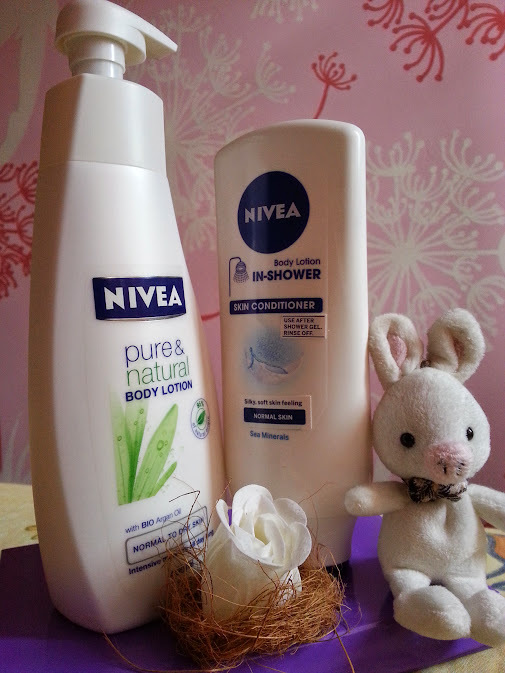 In-Shower Body Lotion, In-Shower Body Milk, In-Shower Smooth Milk, In-Shower Body Lotion Cocoa & Milk (Very tempted to try this some day :D) and In-Shower Body Lotion Honey & Milk. The nourishment is absorbed while our skin pore opens after shower, resulting in soft and water like skin for more than 24 hours! At the beginning, I was not used to this product. (bare in mind, I have never used any body care lotion) When I tested it on my hand, it has this oily feeling while my skin is semi-dry (probably from the wet conditioning). However, when the lotion is fully absorbed and my skin is dry, my skin felt remarkably smooth to touch. No more oily or sticky sensation from the conventional lotion application! If you have someone impatient but yet, couldn't leave without pampering your skin, I SERIOUSLY RECOMMEND you to try this. Not only your partner will appreciate the time saving, you get to enjoy the silky smooth healthier skin. No more icky sensation! Thank you Mocchi Tan for this opportunity.